THE AMAZING DE111: A miraculous strain. It controls microbial populations allowing good bacteria to grow and eliminating bad bacteria such as E.coli. 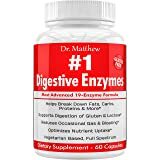 It helps you achieve a better digestion through small chain fatty acids (omega-3 and 6) and acts as helping hand in stabilizing cholesterol, glucose and triglycerides levels. 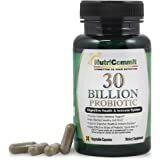 A CHANCE TO HAVE BETTER QUALITY OF LIFE: Enjoy the numerous benefits that Naturotics can bring to your every day life: annoying and painful gas and bloating will diminish, your digestion will significantly improve alleviating you from daily discomfort. In addition, acid reflux symptoms will be soothed. 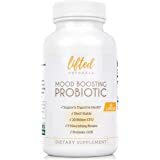 What better way to improve your stomach status, something that will boost your mood in an instant? 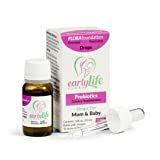 QUALITY STANDARDS: Life Vitality Ventures created this product following an applying top quality policies and regulations. 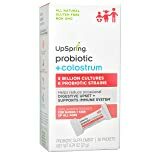 To ensure safety, we used a non-GMO formula and our Naturotics probiotic supplement is a product exclusively made in the USA. 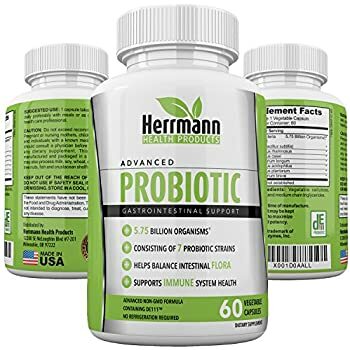 TARGETED TREATMENT: Naturotics probiotic supplement with DE111 is stomach acid and bile resistant, an ability that allows it to detect the problematic area and directly focuses on it. 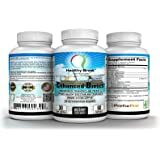 A smart supplement that strikes the core of each problem. 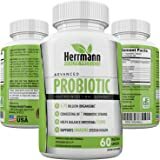 NO SPECIAL HANDLING: You can leave the bottle in your counter corner and no harm will reach your probiotic treasure, no special cases or refrigerator compartments, it only needs a stable room temperature and its content will remain intact. No need for any kind of refrigeration whatsoever. 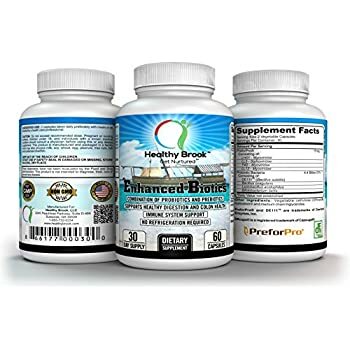 Advanced Probiotic with Patented DE111 Strain (Bacillus subtilis). 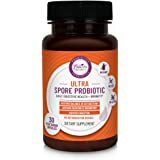 Spore Forming Probiotic. No Refrigeration Needed. 11.5 Billion Organisms. 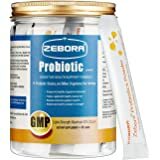 Probiotics for Women and Men. 60 Vegetable Capsules. 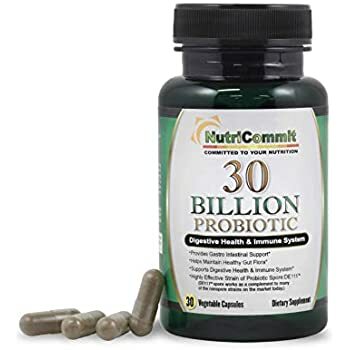 Probiotics for Women, Men and Kids, Probiotic Powder with Prebiotics More Effective than Capsules - Advance Digestive, Gut Health and Weight Loss with 50 Billion CFU and 13 Strains. 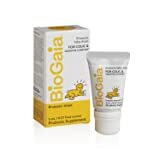 An amazing tool in fighting against stomach problems. 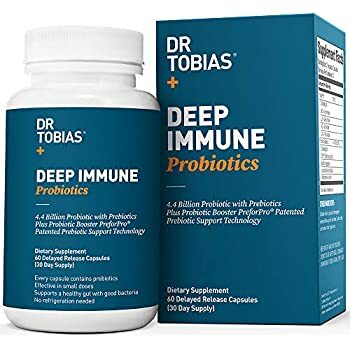 The DE111 is a unique registered probiotic strain. 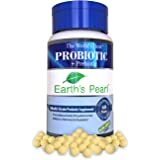 Apart from assisting in the relief of gas, bloating, intestinal problems and therefore protecting your organism, it creates a spore to protect itself from stomach and bile acids in order to remain unharmed and offer you the best possible targeted relief. 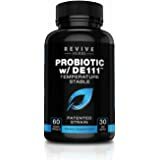 If other probiotics have a sword to fight the bad bacteria, DE111 has a sword and a shield. Annoying and embarrassing gas that are not only painful but a cause of awkward and humiliating moments as well. Stomachache, one of the worst and mood crashing aches one can endure. An upset stomach is something that you simply can’t ignore. Acid reflux, an annoying irritation that puts you in the position to think well before eating even the tiniest piece of what the others are digging in. 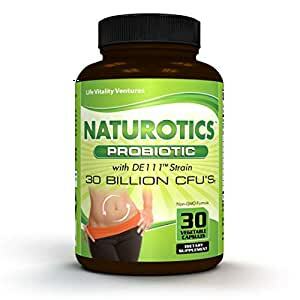 The Naturotics super probiotic supplement with DE111 will alleviate all of these nasty symptoms promoting your stomach, intestinal and digestive system’s overall health. Such as a night out with friends in a fine restaurant, a piece of cake from your granddaughter’s first birthday cake, a picnic with your husband by the sea, or a barbeque with your neighbors. 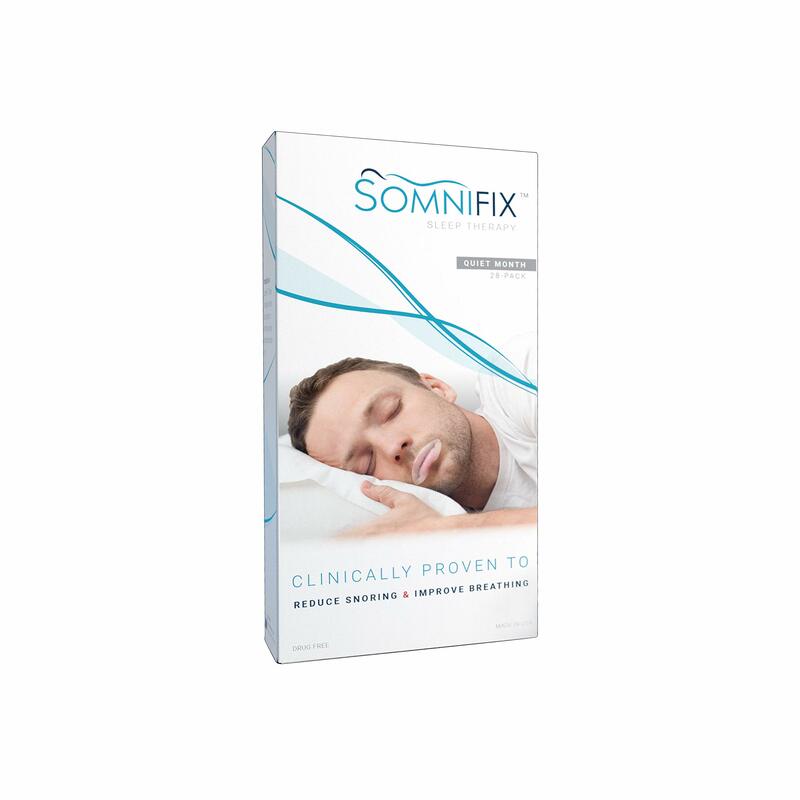 Allow yourself the chance to feel better along with improving your health. 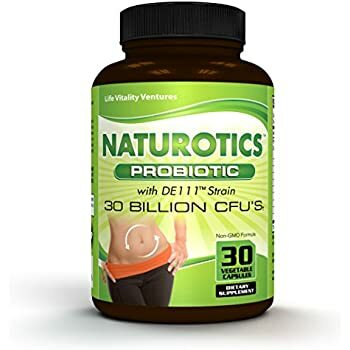 The Naturotics Probiotic with DE111 by Life Vitality Ventures comes with a 30day money back guarantee. 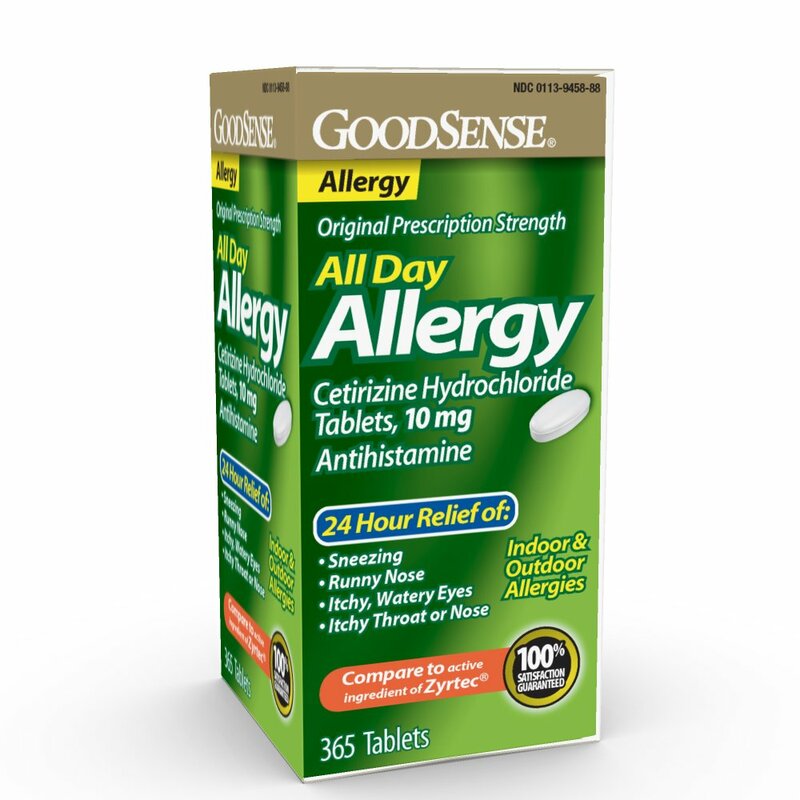 Take one (1) Capsule daily preferably with a meal, or whenever symptoms occur. Take 1 capsule daily preferably with a meal or as directed by a health care professional take 1 capsule twice a day, or take 2 capsules per day — 1 capsule taken 1 to 3 times Daily preferably with meals or as directed by a health care professional Two (2) capsules taken daily, preferably with meals or as directed by a health care professional. You will find the Expiry Date on the bottom of the bottle. It is marked with BEST BY. Use the product before that date. There is also the Manufacturing Date (MFD) that tells you the date when the product was manufactured. 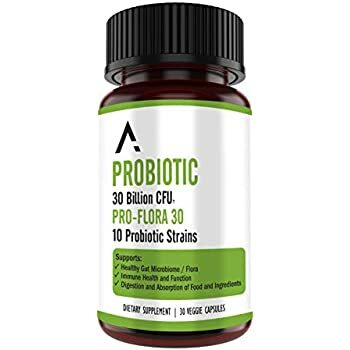 I've taken a couple other probiotics in the past and this one is by far the best it had. 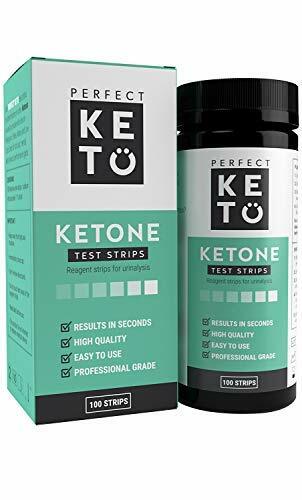 I took them for a short time and felt the difference within days. They really helped my stomach issues the most. I will absolutely keep using these and only these.